All for show or the real deal? 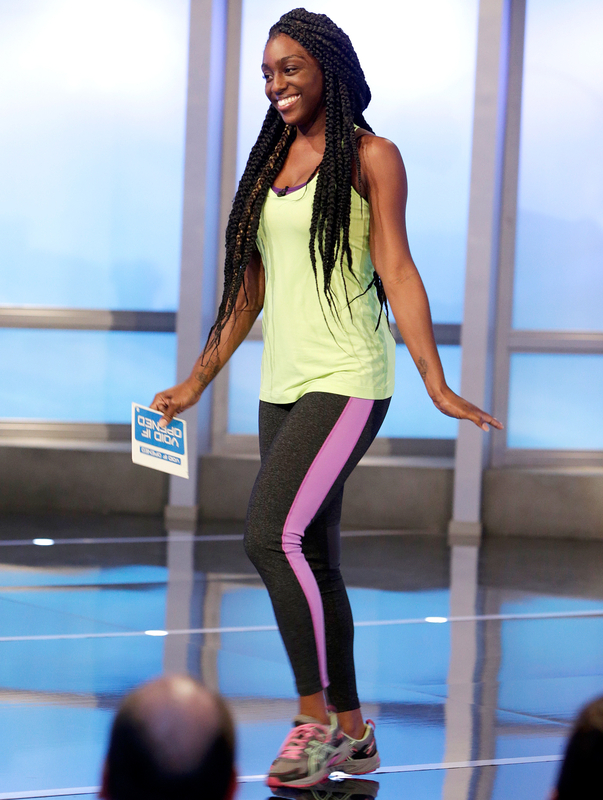 Big Brother’s Da’Vonne Rogers didn’t have a showmance on the CBS series, but she sure had to witness a few. The first jury member of season 18, who was evicted on the August 4 episode, broke down all three couplings in an exclusive interview with Us Weekly. The L.A.-based poker dealer, 27, was never shy about wanting to split up the pairings — and at the top of her list was Nicole Franzel and Corey Brooks. Despite wanting to give them the boot, she believes that they are the only duo that have a chance at lasting. The third relationship recently received the most attention. Last week, Paulie Calafiore abruptly distanced himself from Rogers&apos; pal Zakiyah Everette. Now he’s strategizing with others to vote her out. Nevertheless, many a showmance has survived after the finale. Former contestants Jordan Lloyd and Jeff Schroeder began dating after meeting in season 11 in 2009 and exclusively told Us Weekly in April that they got married and are expecting their first child. That same month, season 12 stars Rachel Reilly and Brendon Villegas, who married in 2012, welcomed a baby girl. Season 13 costars Daniele Donato and Dominic Briones tied the knot in 2013. US WEEKLY: What would you have done differently in the house? DA’VONNE ROGERS: I can’t say that I wouldn’t have tried to go after Frank [Eudy] because he tried to come after me first. Maybe I would have been a little more secretive with my plans to try and get out Nicole than I was. I was very vocal about it, clearly to the wrong individuals. US: Will you remain friends with Nicole outside the house? DR: We will definitely be friends outside the house. Inside the house, I think we both love this game too much, and we came back to play hard. It just so happened that we played hard against each other. But I think she is a really sweet girl. US: Who are the strongest and weakest players right now? DR: James and Paulie are playing pretty strong games right now. Zakiyah is my girl, and I love her like a little sister, but I think she is playing a really weak game right now. I think that is because she was distracted by a guy. I wish the fire she had on day one would come back. At first, I thought Natalie was playing a weak game, but the more I hung around her, the more I thought she knows what she is doing. US: What was your favorite part about this season? DR: I love the diary room. I will miss that more than anything. That was my getaway place to just have fun. US: What was your least favorite part? DR: It was definitely the whole physical and verbal situation with Frank. That I didn’t expect to happen in this season, and I definitely didn’t expect it from Frank. He was one of my favorites. US: Would you prefer eating slop or sleeping in the bumper cars all season? DR: I actually like the bumper cars. It was very comfortable and cozy. I was able to take my best naps in the bumper cars. Nobody wanted to be back there, so there was no foot traffic. I could just sleep and tune everyone out. I would totally take the bumper car over the slop. The next Big Brother airs on CBS Wednesday, August 10, at 8 p.m. ET. Relive Da’Vonne’s eviction in the video above!